Recently this spring we had the opportunity at a WIRe (Women in Research) event in Seattle on the subject of taking risks and the failures and success associated with these big decisions. We had a great time listening to the panel on their personal career stories. What was even more interesting was the opportunity to speak with a very distant and friendly competitor with a completely different approach than us. We spoke to some great people from GMI from the Bellevue office about the resources it takes and the challenges we are facing today as consumers are entering the era of testing. Both of our businesses are very approachable and helpful in different ways. We offer the technology for research professionals to listen/analyze, and they offer a full service package and do research for you. They are also a very large company in comparison to us, but we both have this in common. How can benefit and not lose money from pretty much doing the entire job before collecting any sort of payment? This is risky business for us. If we spend weeks custom developing a feature to meet a prospective clients requirements, and at the end they don't even decide to use it or go through, we are forced to go into recovery mode. While we continue to enhance the features we built, sometimes the use case is so niche that it isn't really applicable for the majority of our users. People are doing their research long before they ever come in your front door or want to talk to you. It may be wrong for us or our consumers to make assumptions, but the information we put out there is information that can be gathered by anyone seeking it. A lot of greedy business was done in the past, leaving consumers behind, or in reality stuck with the solution they invested big dollars in. A struggle we face is people going with a more full-service approach to their research at the end of the day. A struggle they face is people gathering their expertise and utilizing the information to do it themselves. One of the things we have done in lieu of this issue is we have shifted our focus on forming long-term win-win partnerships to fill the gap. 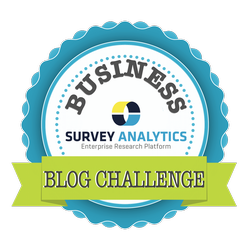 Stay tuned next week for Day 26 of the Business Blog Challenge as we share some more challenges that both our business and our industry is currently facing. For now, check out the great infographic we found below from Introhive about why relationships matter more than ever in modern day selling. Day 18: What’s Your Favorite Social Media Outlet? Day 11: Where Do Your Customers Come From? Day 6: Who Was Your First Customer?